Analytics and Reporting - AIMWEB Global Web Solutions - Leaders in Search Engine Optimization, Pay Per Click Management and Search Engine Marketing. Cape Town, South Africa. State of the art Analysis and Reporting Tools:�. Measurable results and statistics will provide you with the insight to the progress of your online marketing campaign. Knowledge is power and by having the right tools to measure and obtain relevant information you will be able to obtain the inside knowledge about your business, customers and competition. Reporting Tools Features and Functionality:…. Data Collection and Analysis Process:�. 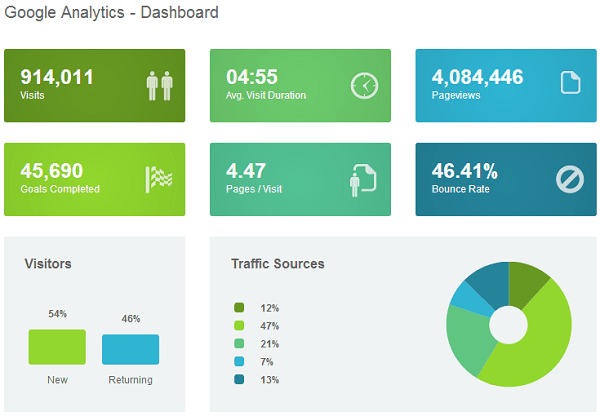 We use measurable results and statistics to constantly monitor and improve your businesses online marketing campaign. We rely on different metrics in order to make calculated decisions that produce positive results.